As I explained recently, I spent seven years of my career as an assistant in the entertainment and fashion industries, and I did so with a variety of tried-and-true wardrobe staples and go-to outfits. But the element of my assistant wardrobe that basically influenced how my day was going to go (seriously) was my choice of footwear, and it's something that I admittedly struggled with from time to time. I'm not one for "practical" shoes, but having functional footwear that didn't hold me back when scurrying all over the office (or town, in many cases) was crucial. It was something I learned the hard way—a few times. Those seven years were a learning experience in more ways than one, but one of my biggest sartorial takeaways was a capsule wardrobe of six work shoe styles that I couldn't live without. Bear in mind that my assistant positions took place in creative office environments, so some of these styles (ahem, polished trainers) may not work in a more conservative workplace, but most of them definitely will. Below, find out which shoe styles got me through those seven years as an assistant, and shop my current picks for each. 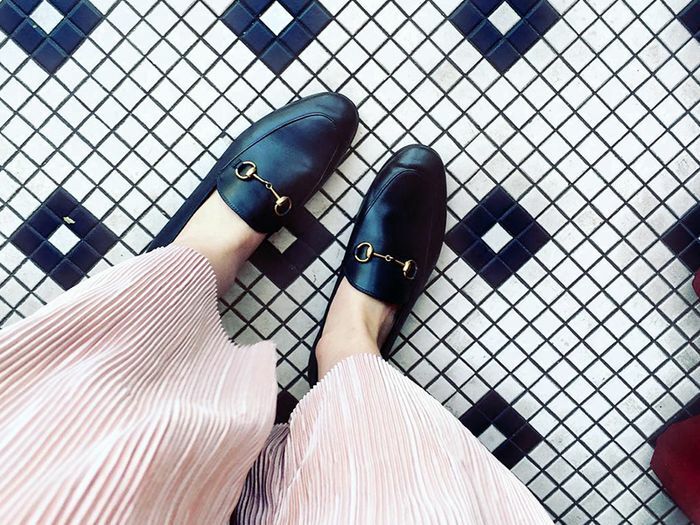 Loafers were my flat shoes of choice when living my best assistant life. They're versatile, classic and structured enough to pull any look together. While it may have been tempting, I didn't wear flats every day. And often, the heels I reached for were of the block-heel mule variety, which provides comfort, convenience and plenty of low-key style. Low-heel ankle boots were my go-to shoe style in autumn and winter, as they're walkable and work with everything from cropped jeans to midi dresses. For casual Fridays and those days when I spent all day running around town, you could often find me wearing sneakers, but I stuck to polished leather styles. Speaking of which, my other style of choice was pointed-toe ballet flats. When flat shoes were in order (as they often were), they kept my outfits from erring on the side of sloppy. Even if you're not an assistant, I highly recommend owning these six styles for work (or just life).